There’s no better way to signal the end of a harsh winter than by immersing yourself in the world of the South Pacific, especially if we’re talking about the Rodgers and Hammerstein musical! Brought to life by the Landmark Community Theatre at the Thomaston Opera House, this production is directed by Rob Bongalotti and features a 10 piece orchestra under the direction of Holly McCann. The hallmark of this show is the electrifying performance by A-list talent, Cristin Tillinghast. 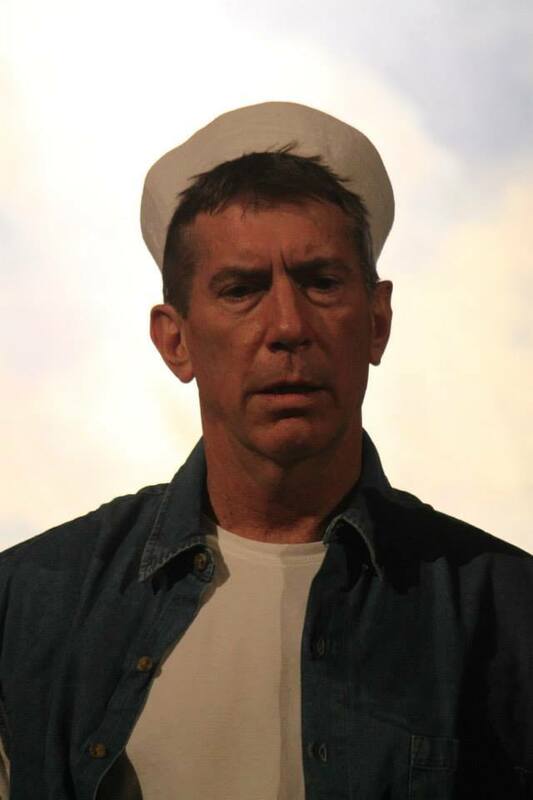 Anchoring South Pacific with a soaring voice, joyful dancing and most importantly, an ability to communicate the emotions of the character to the audience, Tillinghast as Nurse Nellie is the star of this show in both feature and fact. She provides the “Nurse from Little Rock” the voice to sing “I’m in Love with a Wonderful Guy” and “Cockeyed Optimist” with spirit and charm. She is joined in the ensemble cast by Tom Sheehan as Emile (a French planter with a mysterious past-Sheehan truly does the song “Some Enchanted Evening” justice here), Lucia Dressel as Bloody Mary (a local vendor and mother of Liat-Dressel provides the character her voice for “Bali Ha’i” and “Happy Talk”), Stephen Michelson as Lt. Cable (the war hero on a mission who provides the “moral” of the story in “You’ve Got to be Carefully Taught”) and Erica Blasko in the dual role of Liat and a nurse. The writers of the musical (Rodgers and Hammerstein) gave the role of Liat less to work with than the other roles in the show but Blasko has her “moment in the sun’ as a particularly challenging dance number is performed flawlessly and worthy of ovation as any song in the show. This production of South Pacific works best when the cast performs in groups like the Seabees’ shanty “There is Nothing Like a Dame” (performed by Peter Bard, Mark Taricani, BrianValetta, Daniel Beaudoin, Theo Sevilla) , the nurses’ celebration of “Wash That Man Right out of my Hair” (performed by Tillinghast, Barbara Stolarik, Julie-Anne Brand, Katie Brunetto, Nicola Sestito. Nicole Thomas, Alicia Ferrell, and Erica Blasko) and the raucous ensemble performance of “Honey Bun” which includes some stunts and some tap dancing by Tillinghast and a fun duet with her and Guertin. Kudos goes to the choreographer Caitlin Barra and the cast members who danced and sang because those performances work extremely well and provide the audience with the “show” in the show. 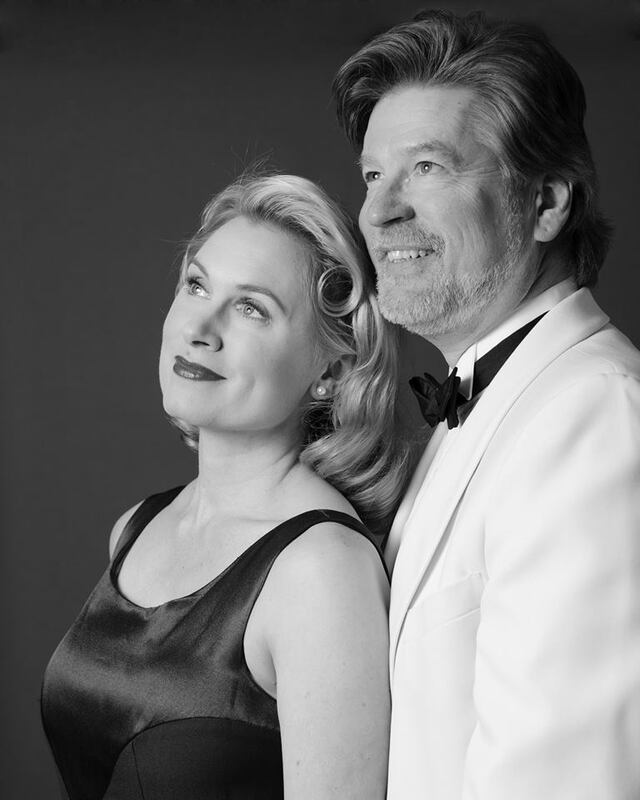 The audience will enjoy hearing the American standards like “Some Enchanted Evening” “Younger than Springtime” and “Happy Talk” and the story can provide a centerpiece of a wonderful date night. Not unlike the Seabees themselves, there’s a team that switches scenery/set pieces with each new scene and they do it quickly. The costumes are spot on. There is a short video to show the passage of time in the war and this, in my opinion, was probably not needed but it doesn’t really detract from the storyline. 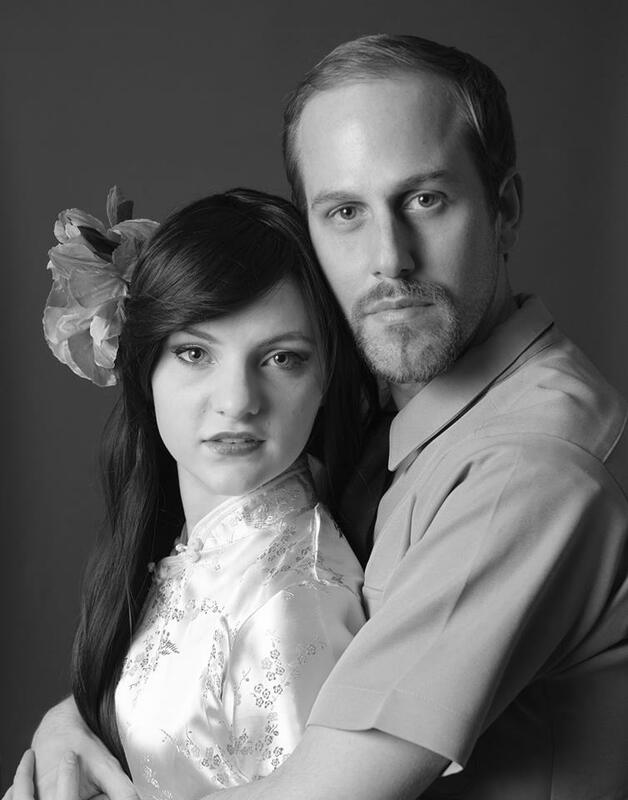 The songs will be stuck in your head as you leave and perhaps that Some Enchanted Evening might be that night you see Landmark Community Theatre’s South Pacific. 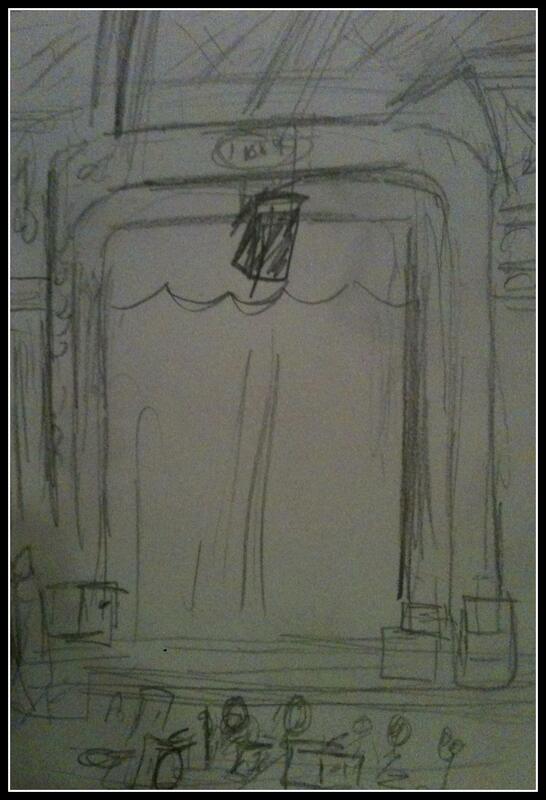 pencil sketch at the Thomaston Opera House before the show. Kennedy Morris played Ngana for the dress rehearsal and will play the part for the opening weekend. Thank you! There was no “playbill” as this was a dress rehearsal. I appreciate the info and I am adding/editing that information to reflect the young actress who portrayed the character during the performance I saw!